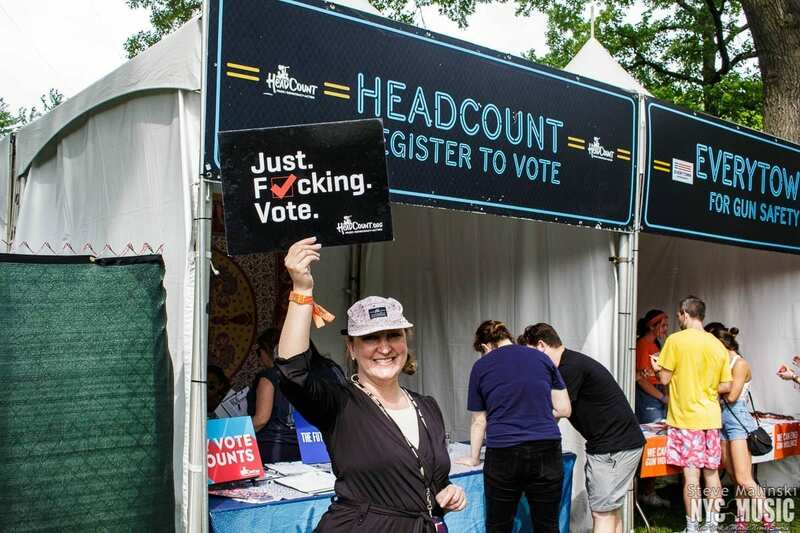 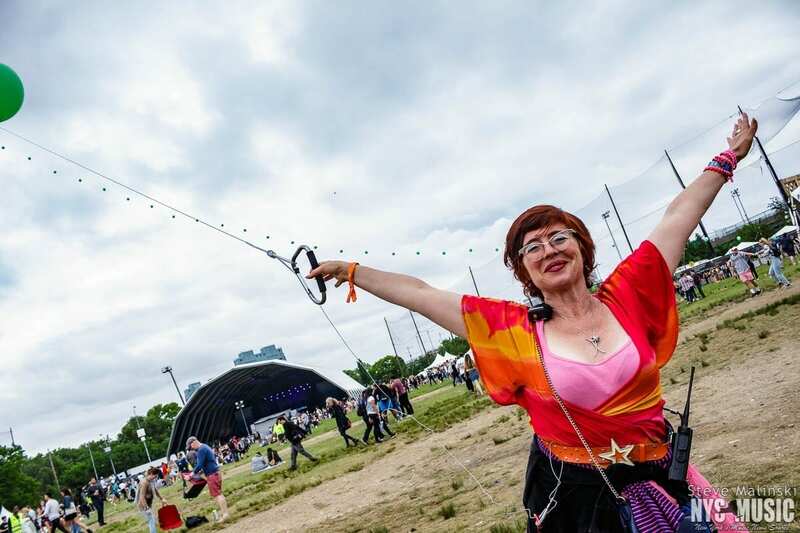 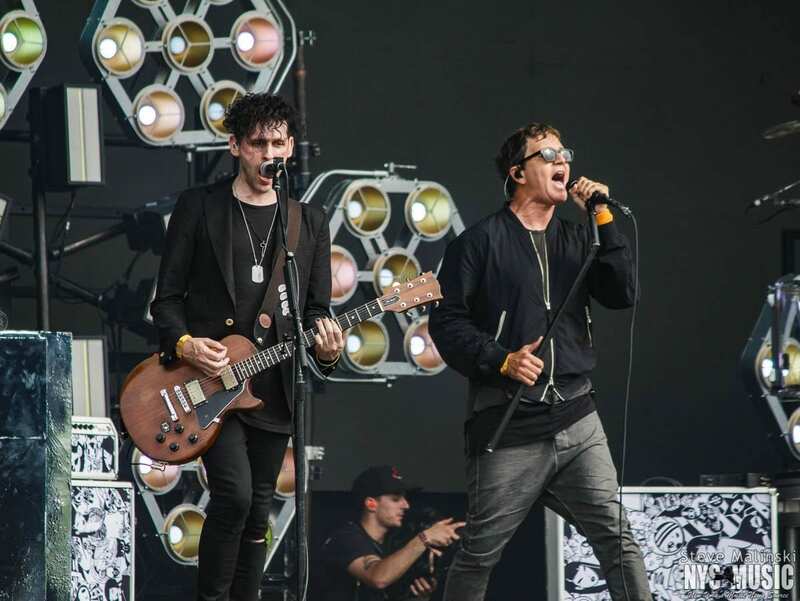 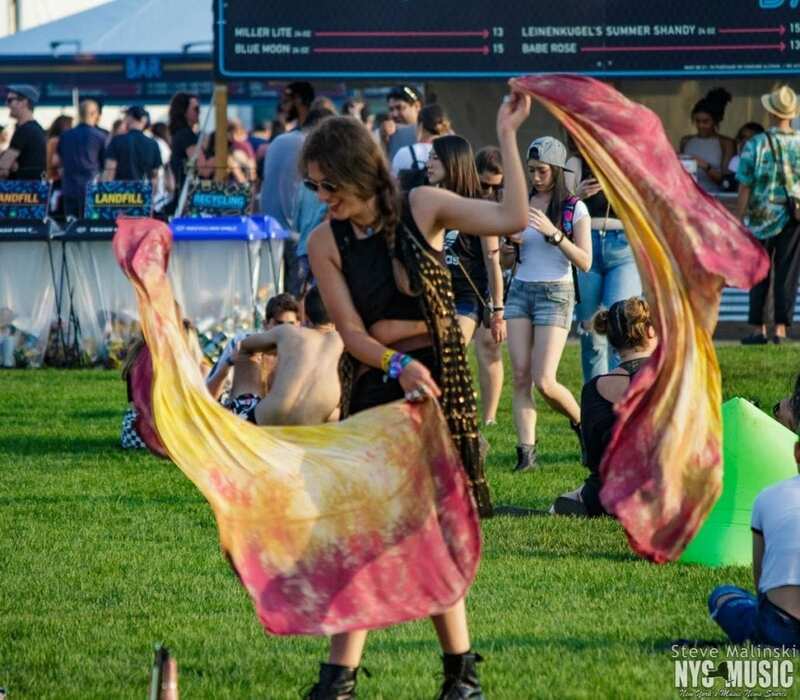 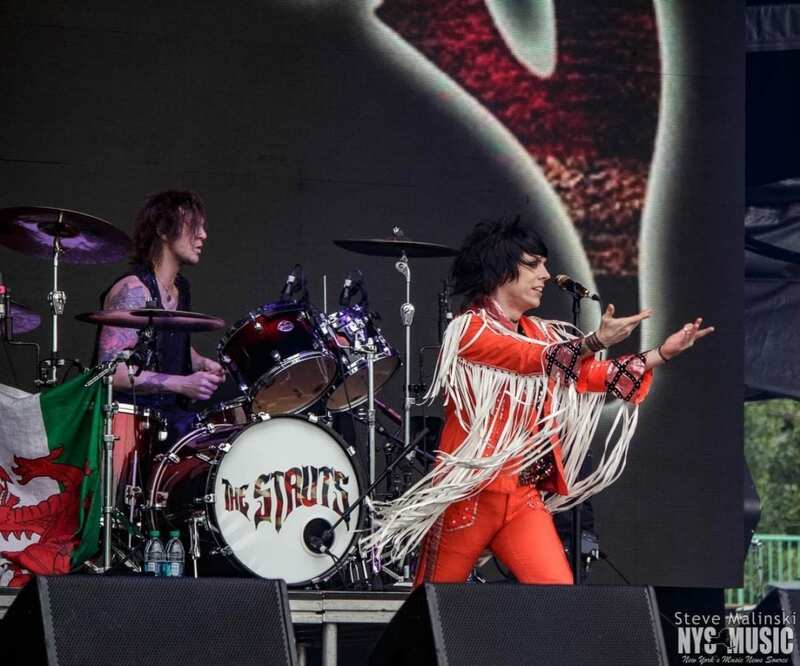 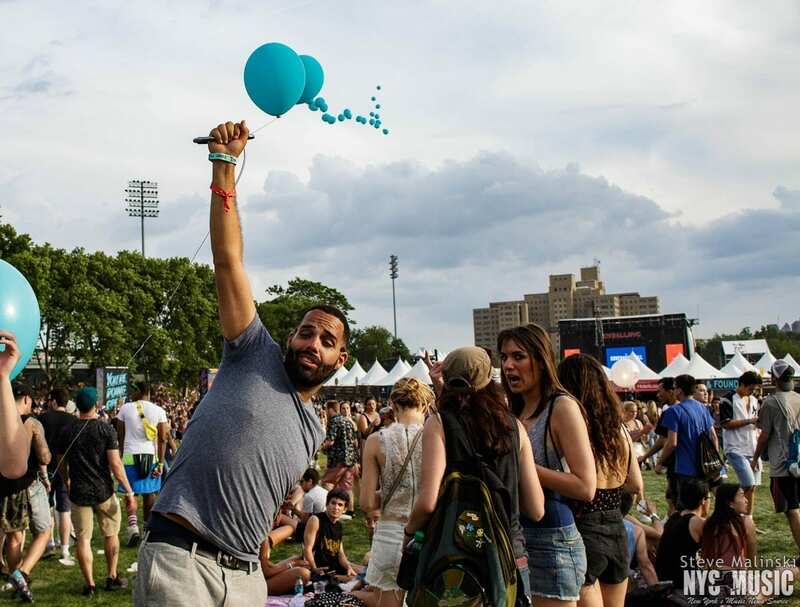 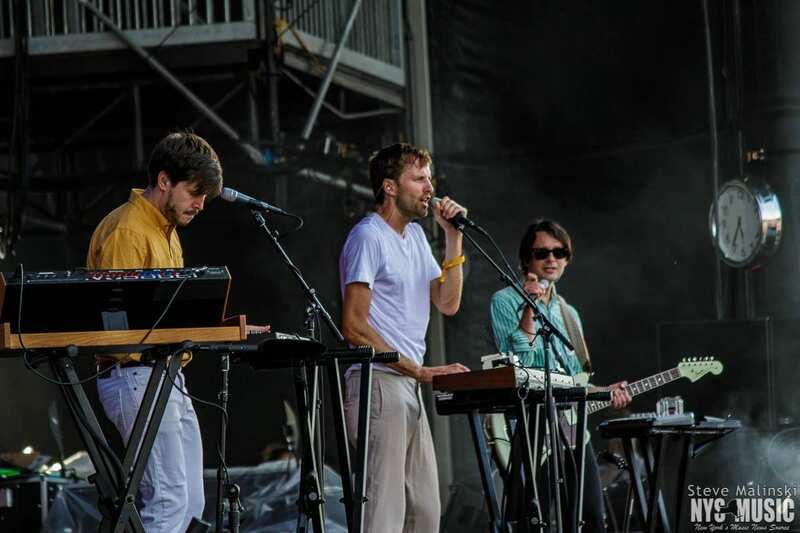 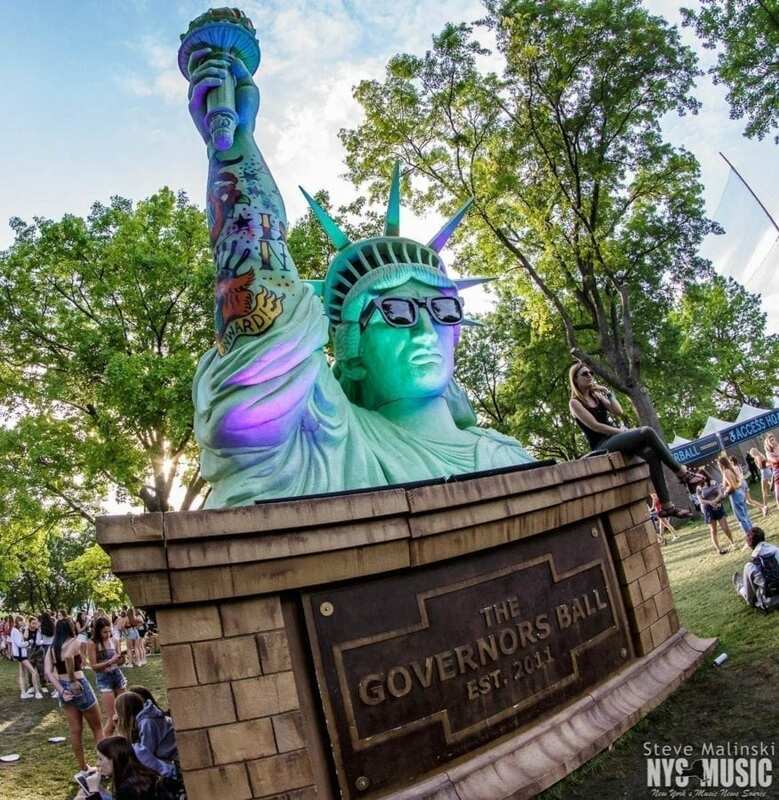 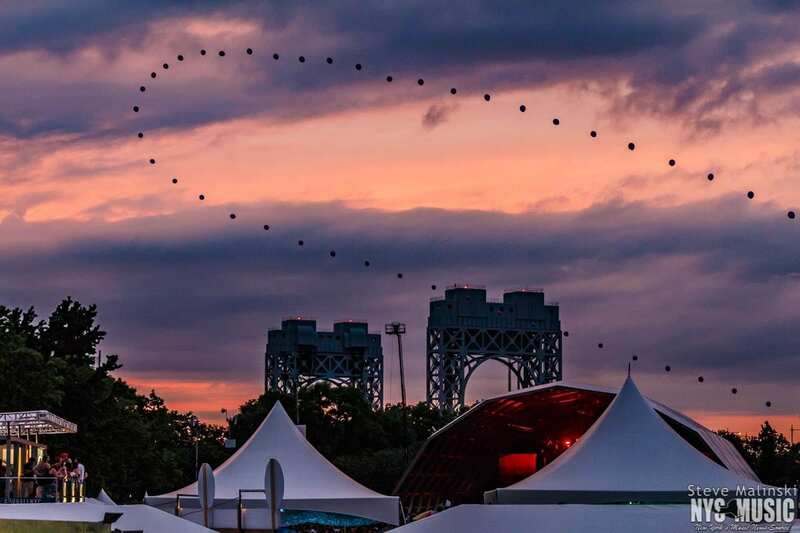 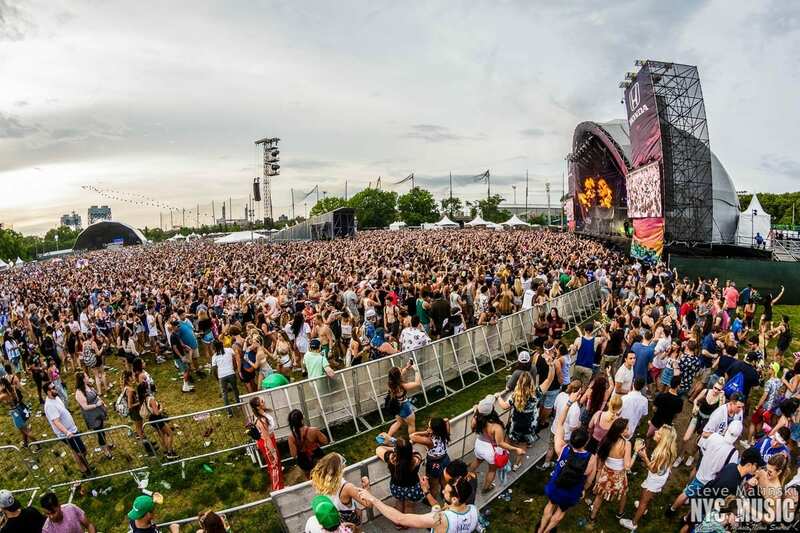 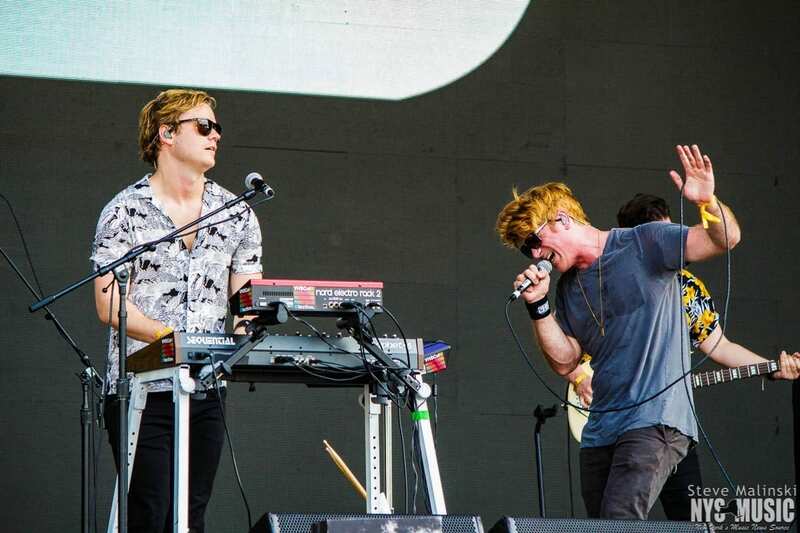 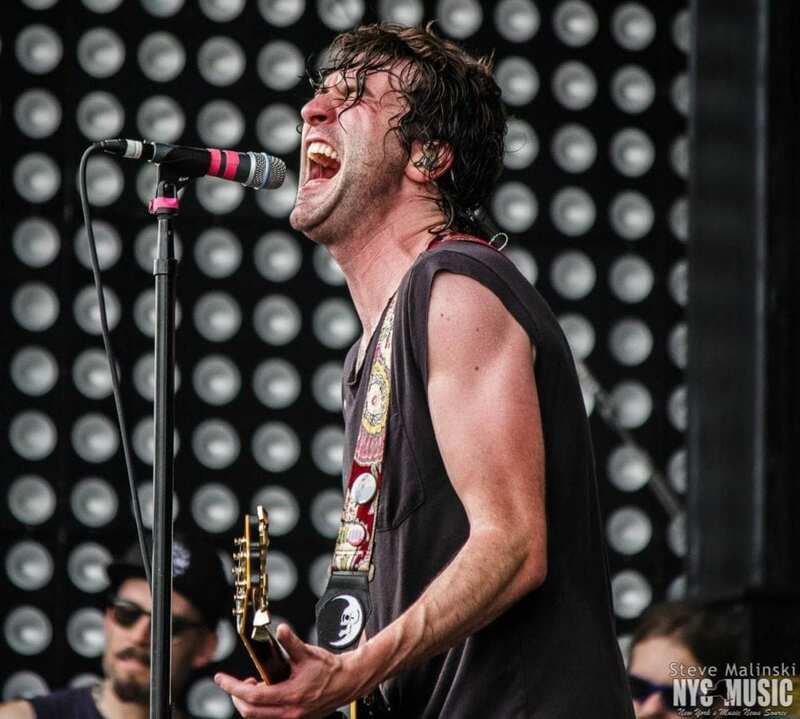 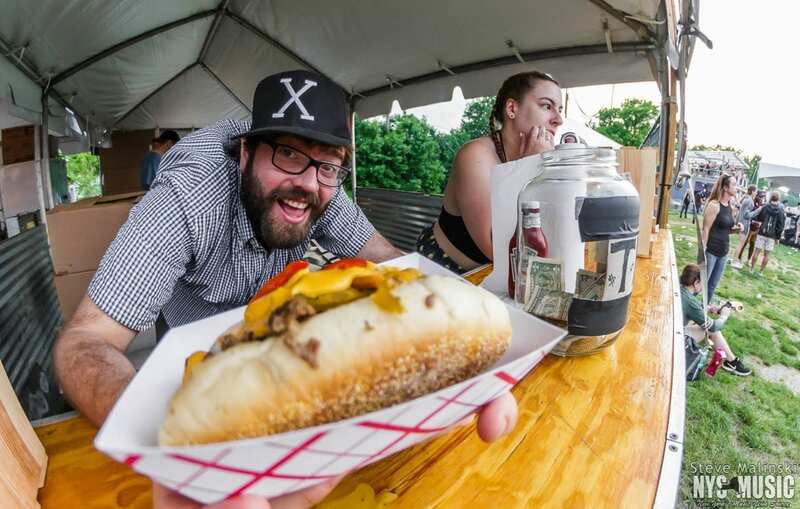 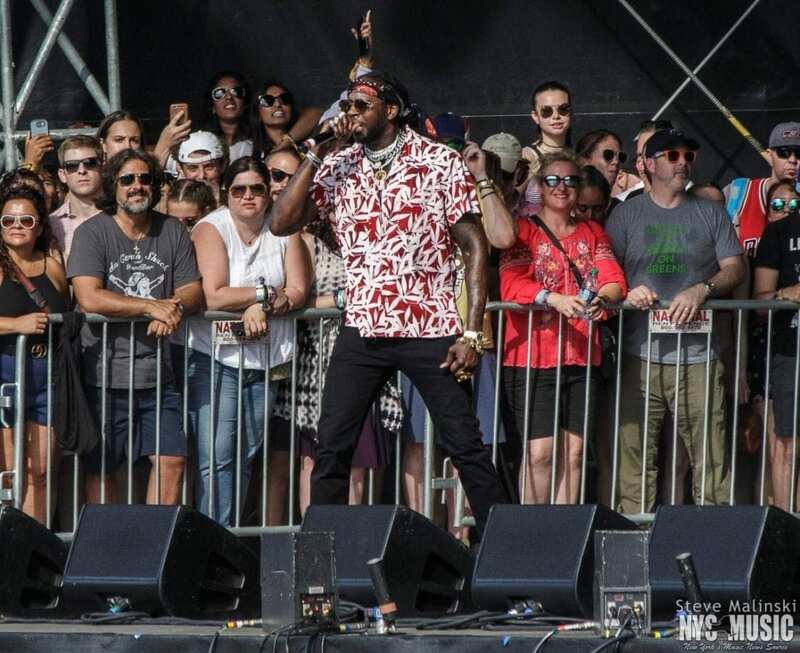 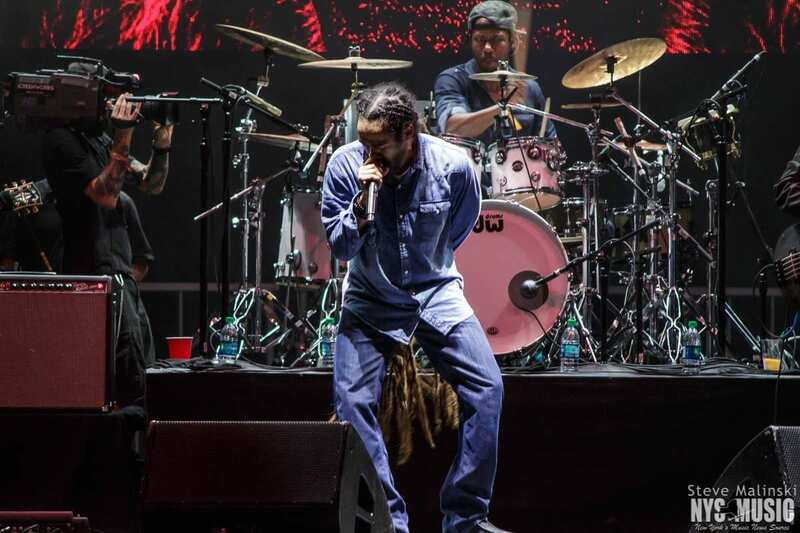 Governors Ball Music Festival returned to Randall’s Island Park last weekend for its eighth year in a row, bringing a mainstream savvy lineup that spanned an array of genres as well as several decades in music. 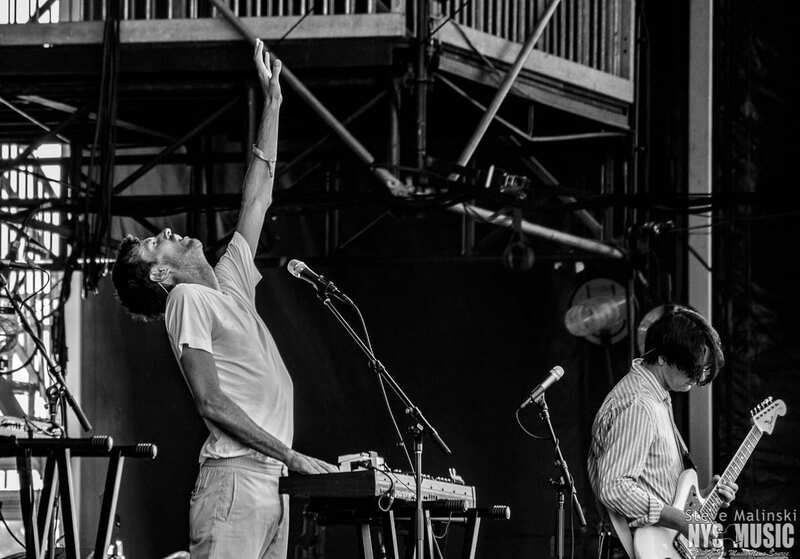 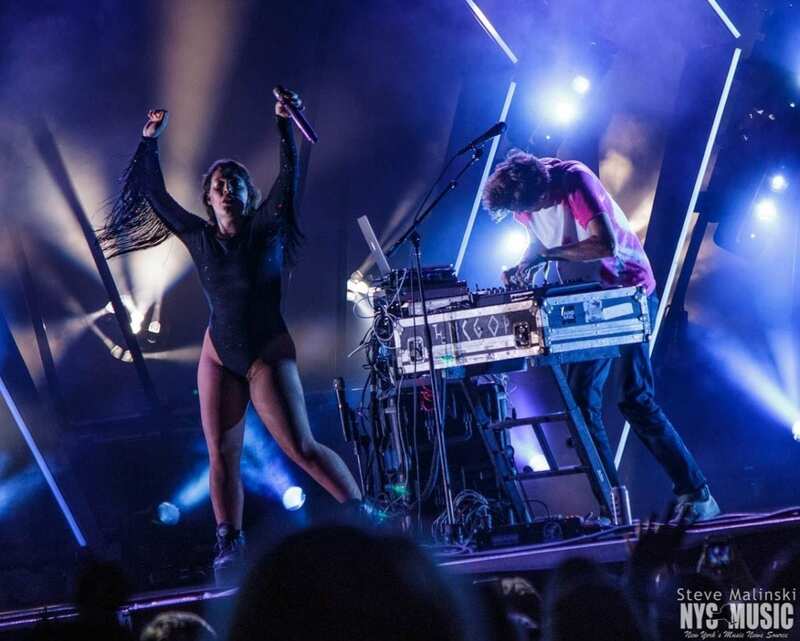 Nearly 150,000 people trekked to the scenic Manhattan locale, to rock and dance it out to the newest in electronic pop, the hippest in indie folk, some of the best in hop hop, and much more. 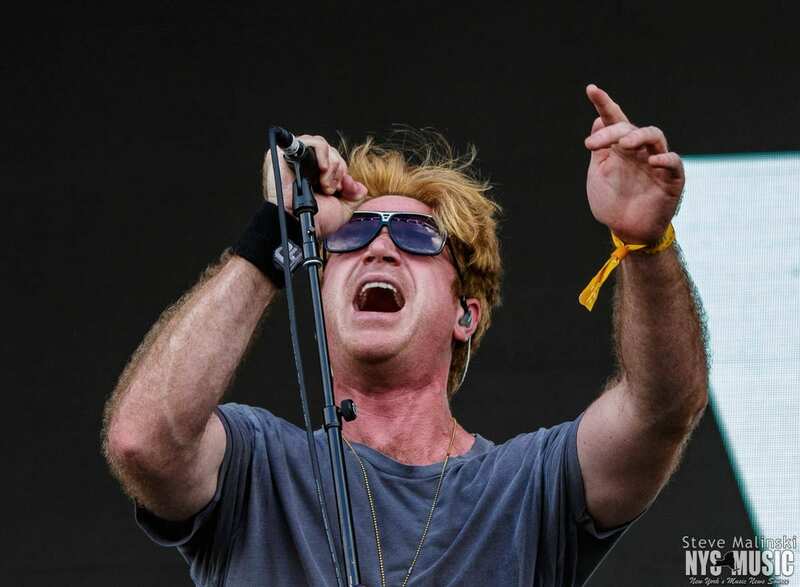 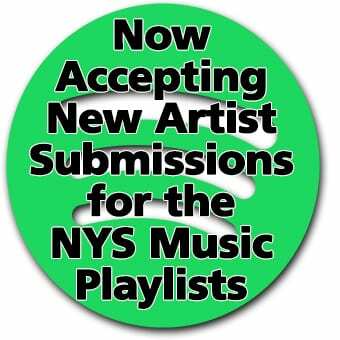 Friday kicked off by bringing both some newer, big solo artist names and a few modern rock legends. 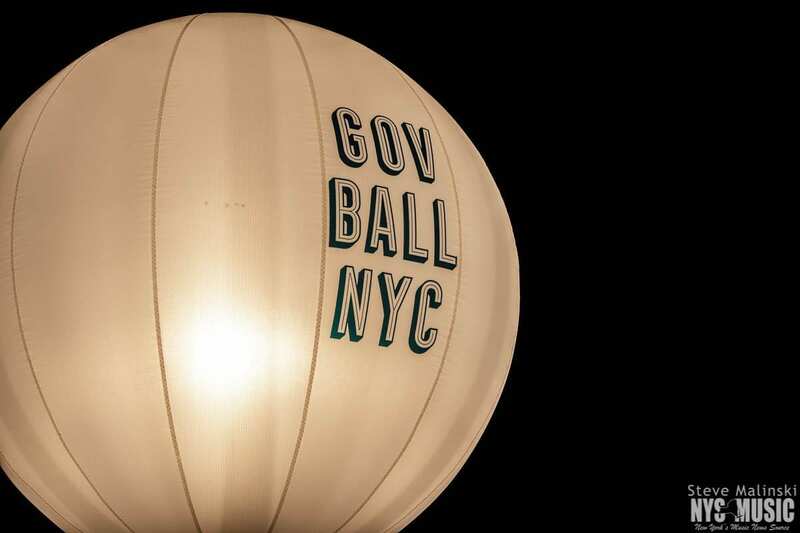 Something interesting to note about Gov Ball’s lineup this year was the high percentage of non-US-based artists. 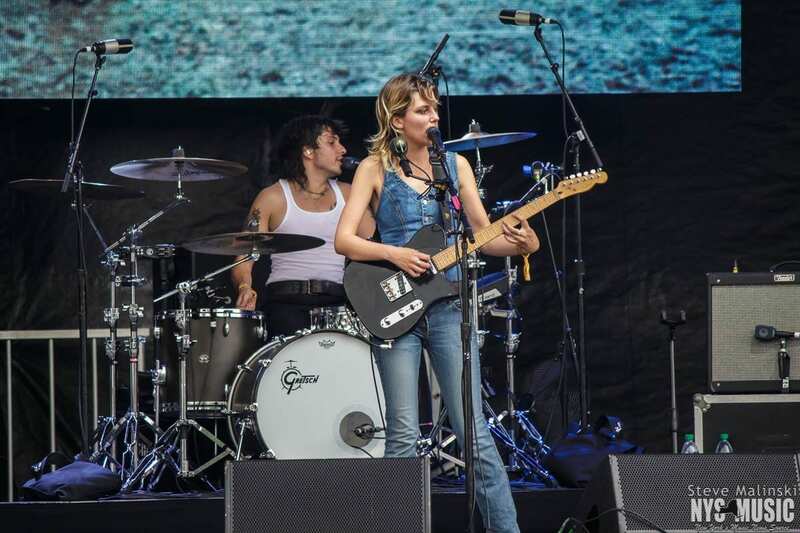 On the Bacardi Stage, British foursome Wolf Alice tore through a ferocious set of their brand of garage rock, whipping up the first day audience into a frenzy right away and holding them there for the duration of their performance. 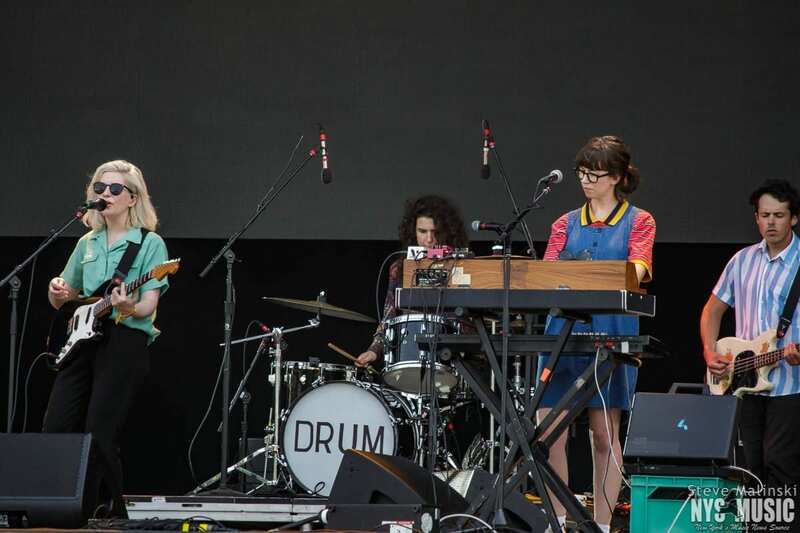 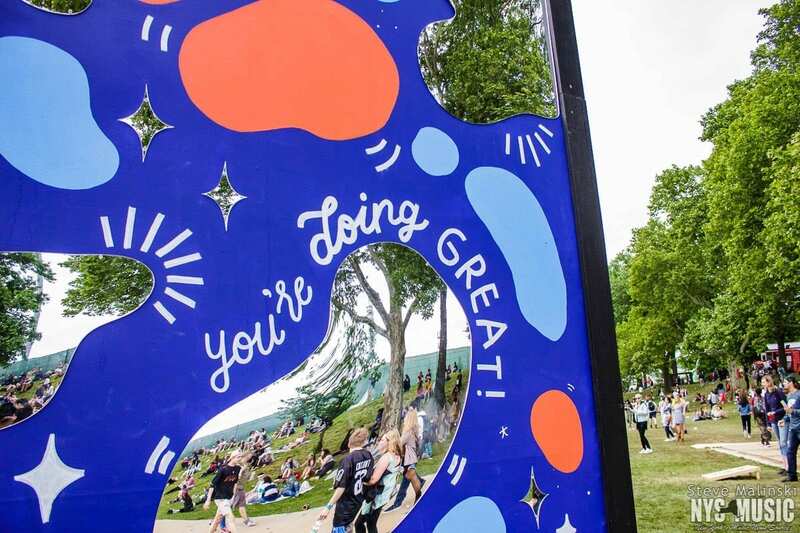 Meanwhile, Canadian breakout artists Alvvays, whom took to the Gov Ball Main Stage, and Australian four piece Pond, whom rocked the Honda Stage, brought in their sets shades of dreamy shoegaze and psychedelic pop. 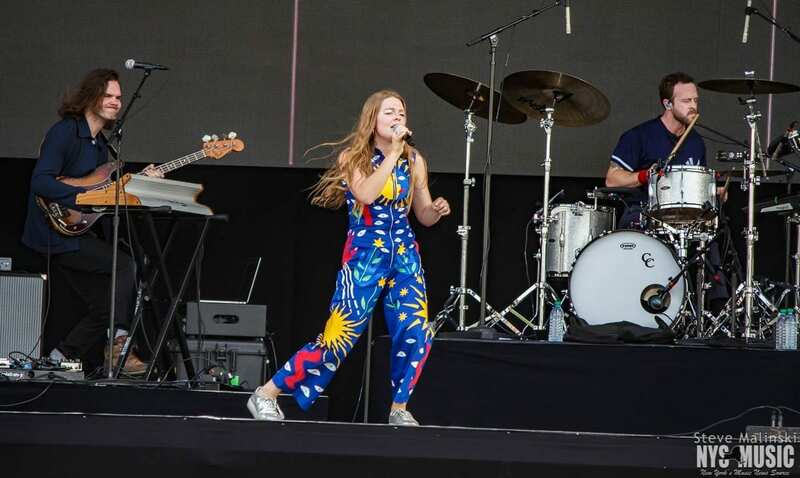 Maggie Rogers, later on, was beaming from the Gov Ball stage in a fluorescent stormy weather dress, channeling a hipster, young version of Ms. Frizzle. 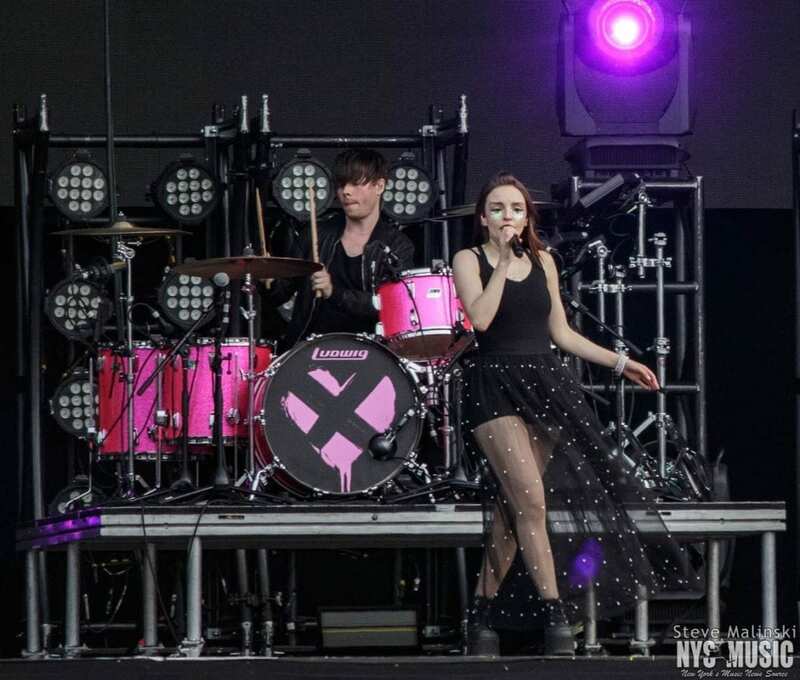 She, like many of the other breakout artists lighting up GovBall 2018, expressed her humility at getting to perform the event. 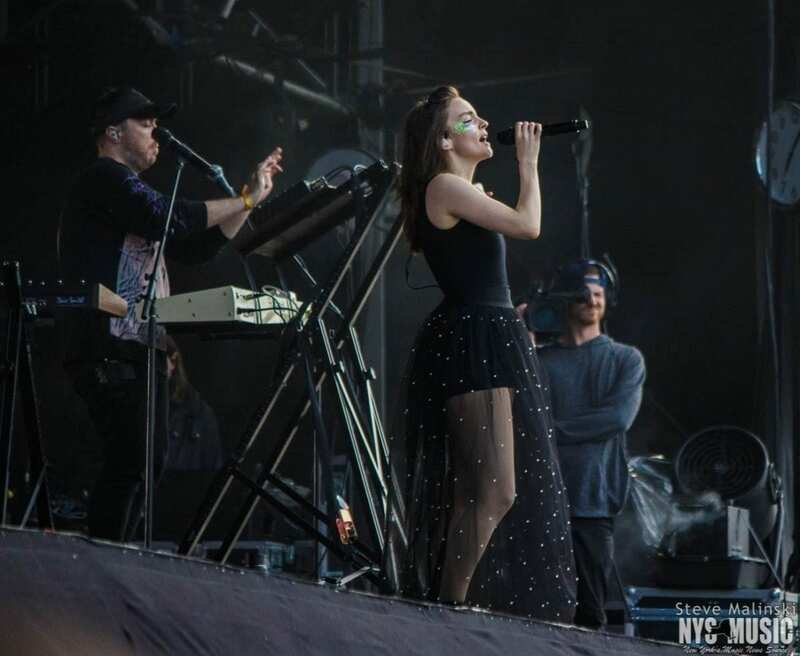 She quipped at the end of her set:, “Can you believe that mother****ing Karen O is about to be standing on this stage in just a bit? 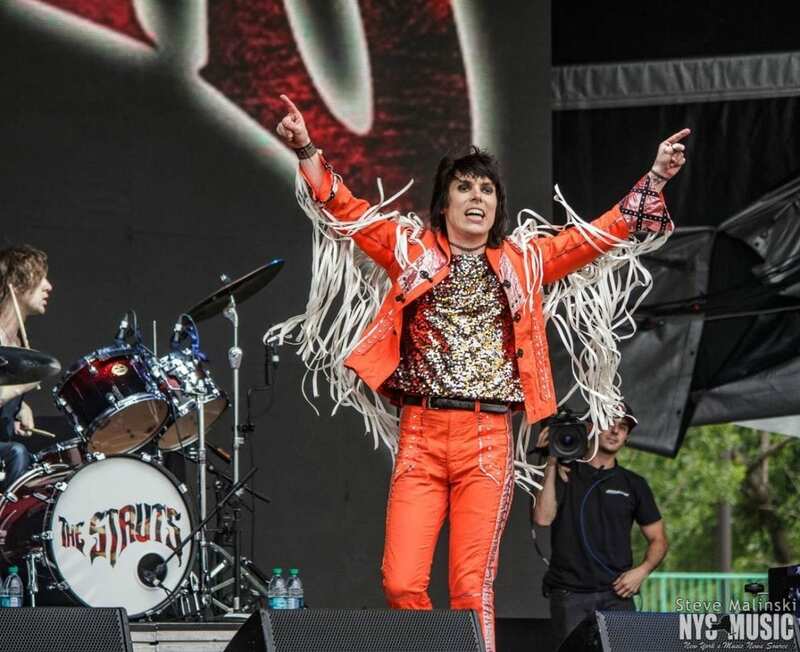 ?” Karen O did indeed take the stage just a bit later, with her defining alternative rock group Yeah Yeah Yeahs, for one of the first hugely anticipated rock sets of the weekend. 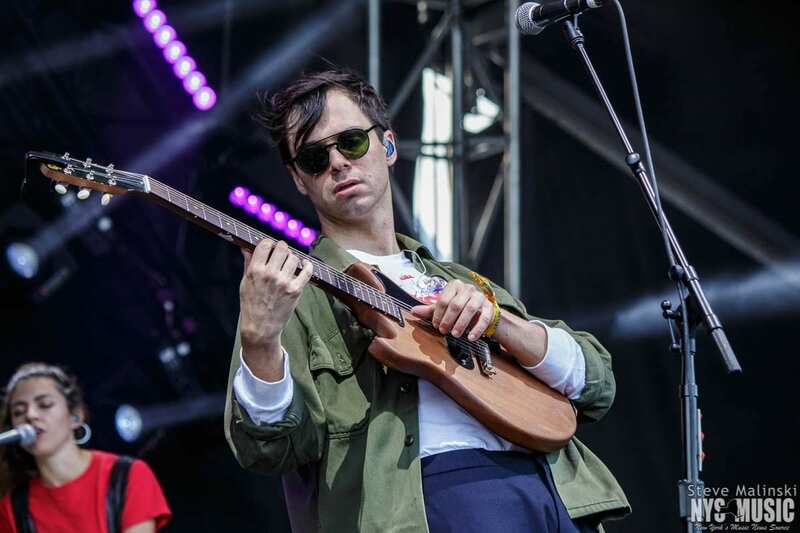 Opposite him, James Blake delivered quite a different kind of closing show—deep, mellow, at times almost downright sullen in his surreal kind of new age soul. 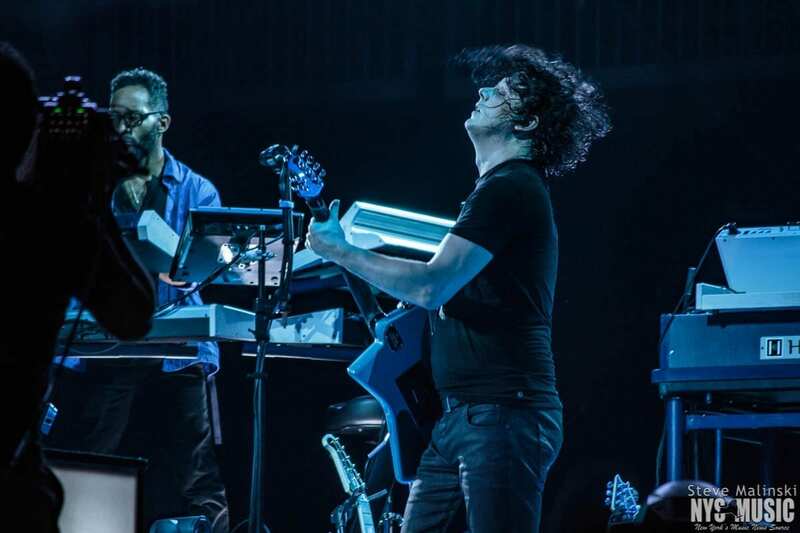 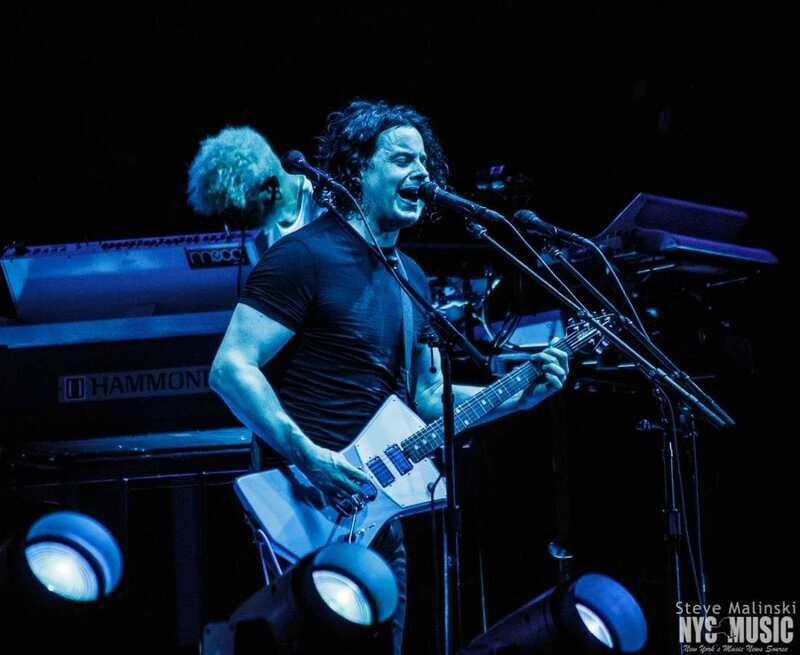 While Jack White basked in a backdrop of bizarro blue light, Blake’s set was a cool, minimalist light show that silhouetted himself and his two bandmates. 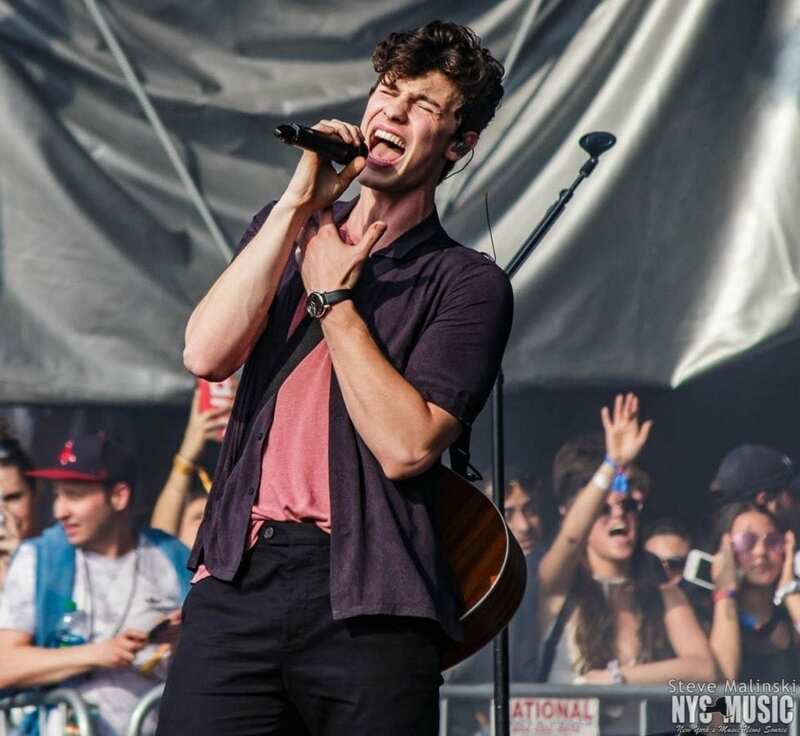 The effect complimented the soft intensity of his songs and kept the focus on the singing and the playing. 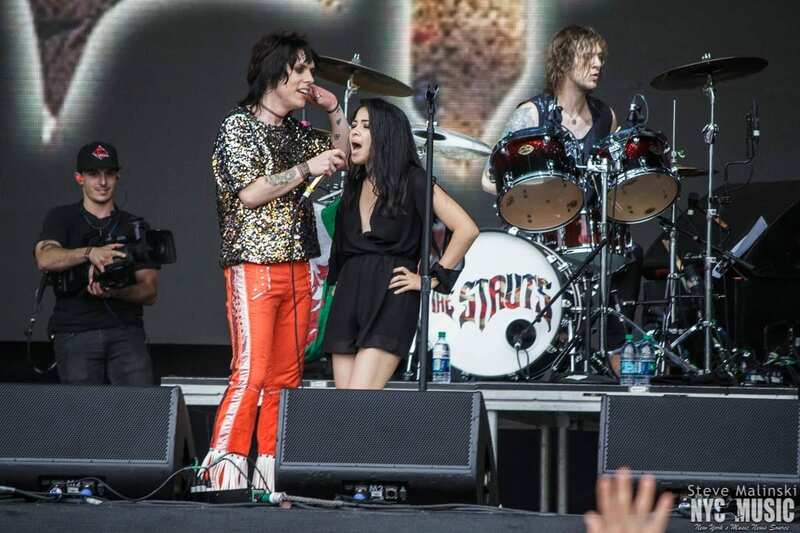 Saturday morning started big and bright with a few up and coming singers. 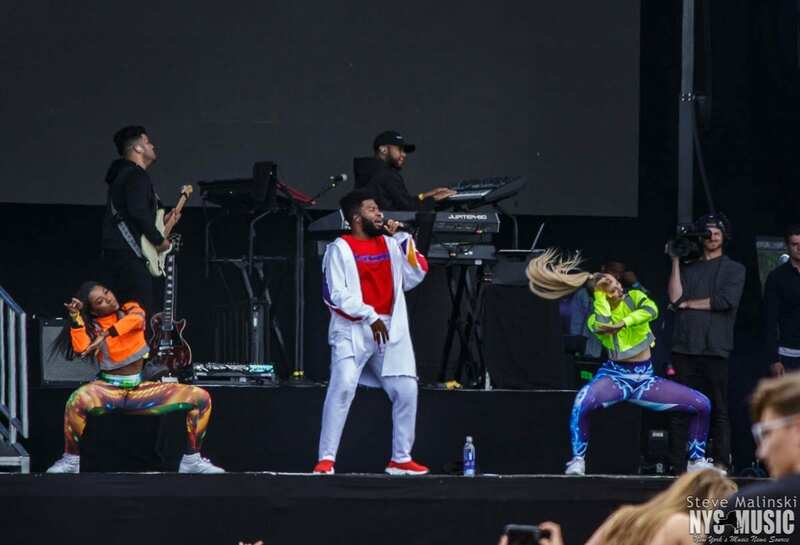 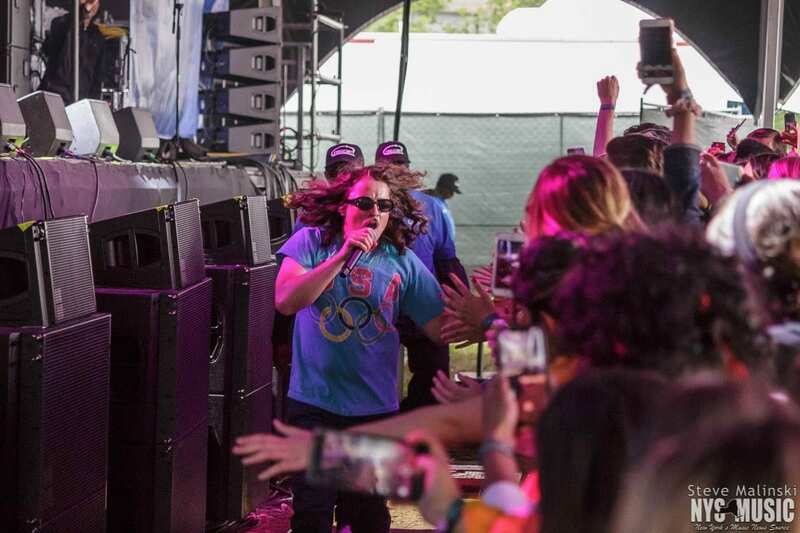 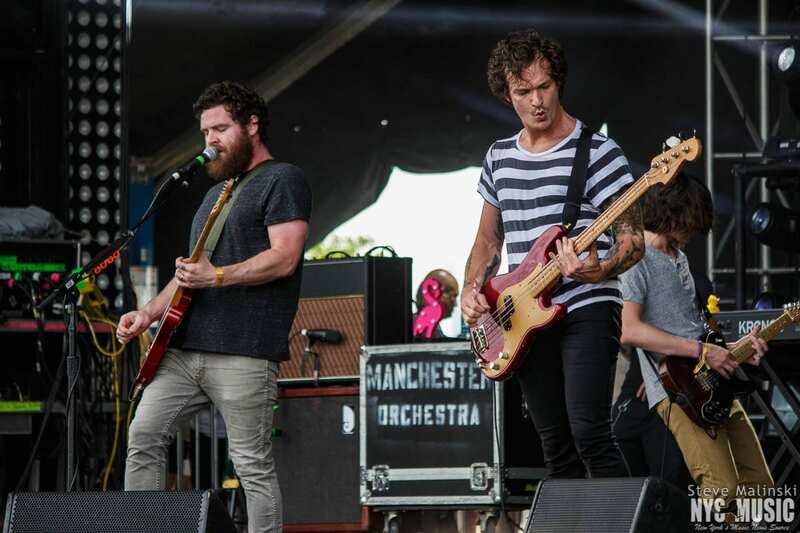 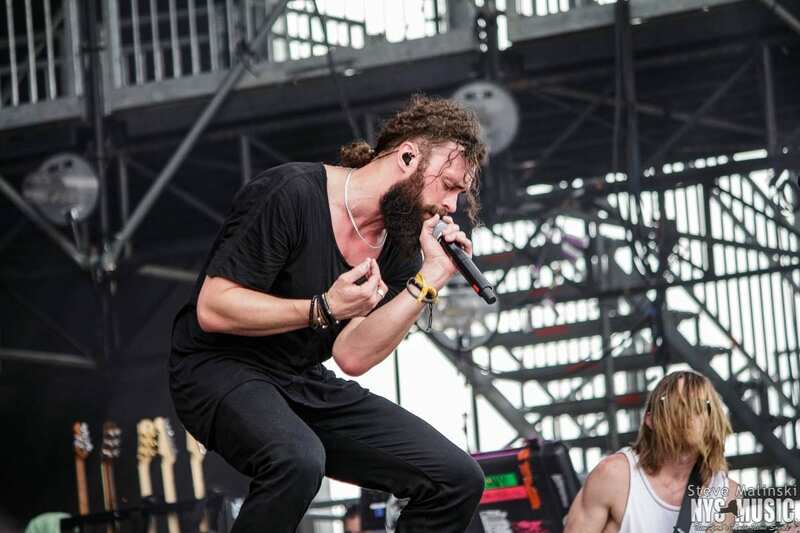 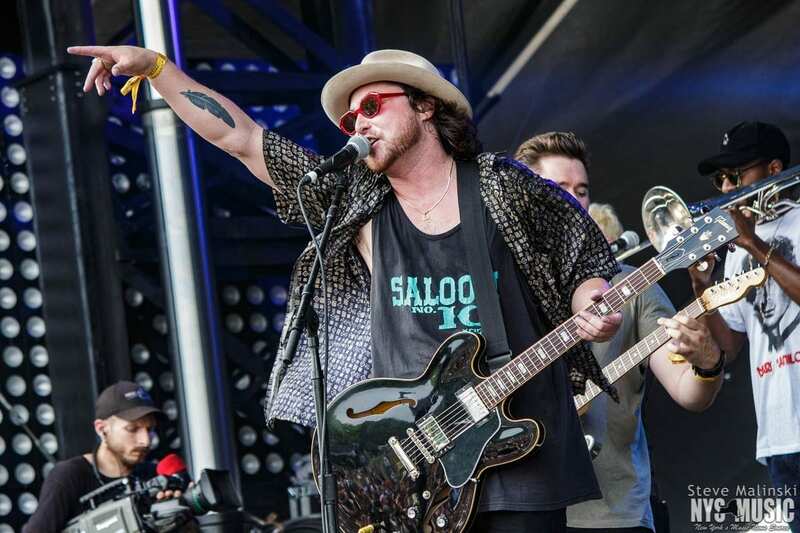 New Nashville crooner Mikky Ekko shined with “Stay,” his hit song which features guest singer Rihanna, while Cuco and his backing band kicked off the American Eagle stage. 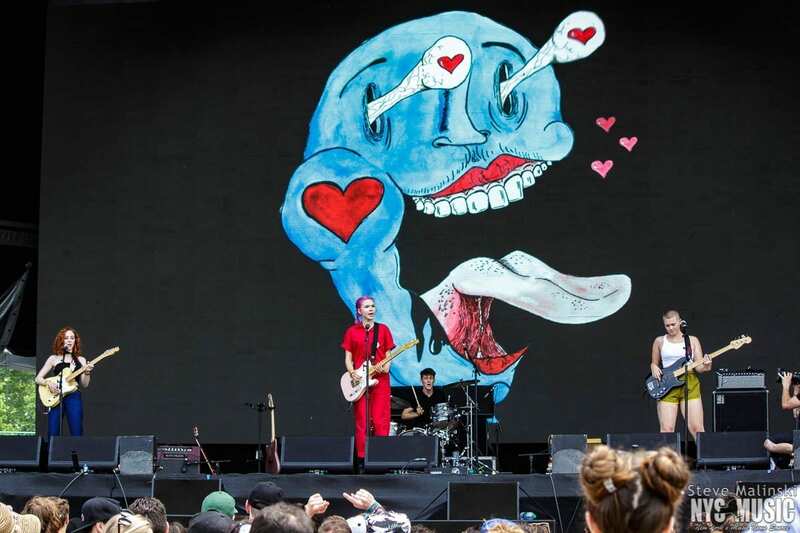 Early on the Honda stage, GovBall spanned the US, first bringing Los Angeles’ The Regrettes—punk in a clean package—followed by NYC’s own VHS Collection. 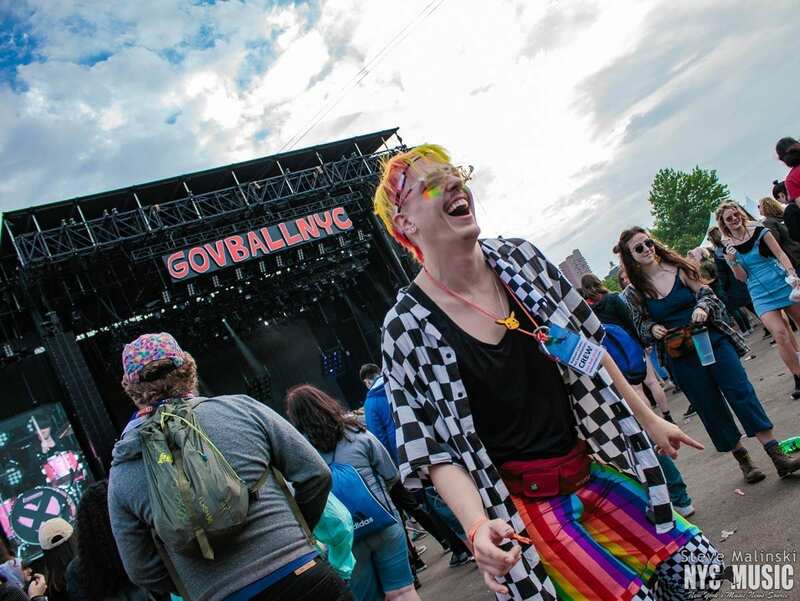 As the name might suggest, VHS Collection throw fresh digs on an old school sound, and the result encompasses, in a way, a lot of the musical aesthetic running through GovBall’s lienup—a love note to the past that’s written in shiny, forward-looking letters. 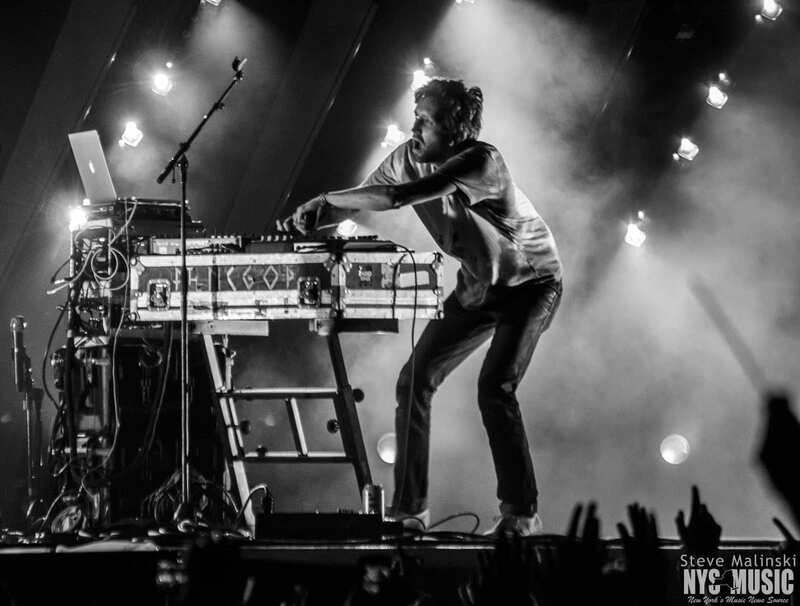 Galantis, for instance, are about as fresh as live electronic music gets. 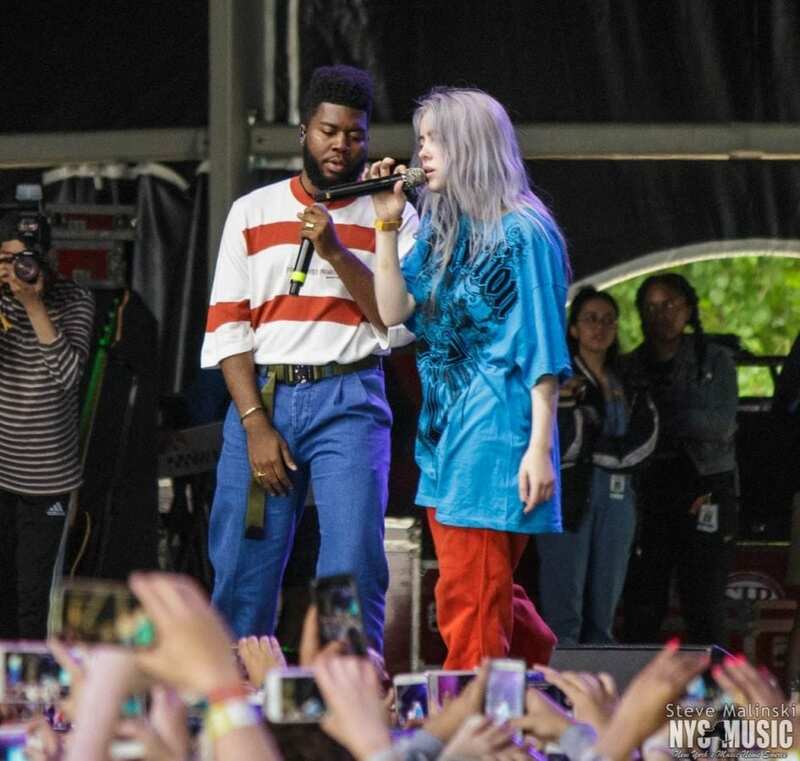 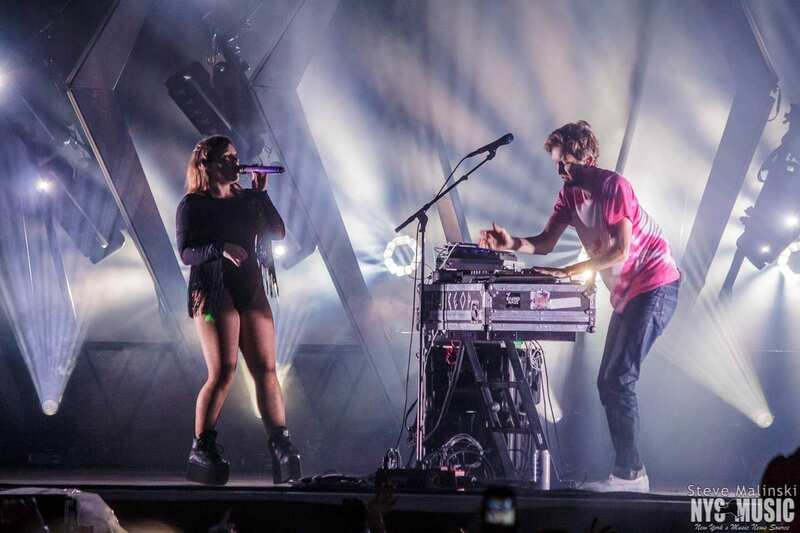 Their jam is club music made for a sunny day in a New York City park, so they were right at home Saturday mid day at GovBall. 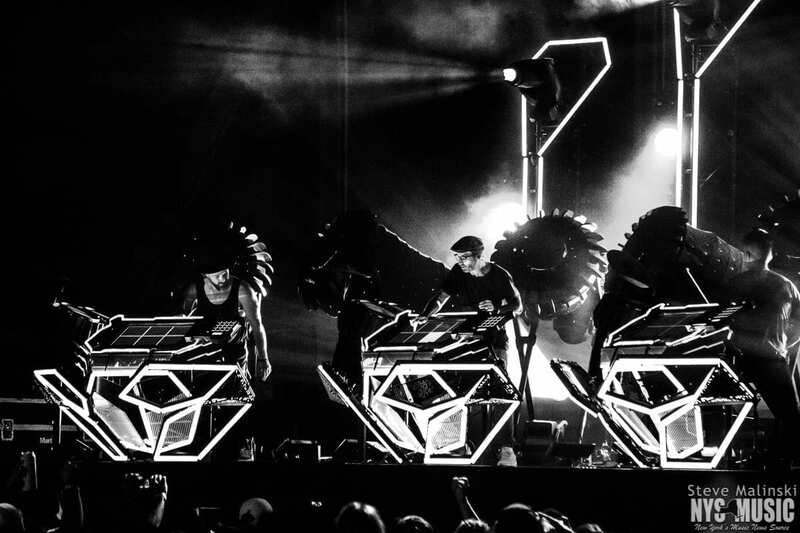 Galantis grooves are mechanical yet often feel good at times, all while keeping a sense of nuance and experimentation in their work—as if to say, we’re serious about our craft here but not without having some fun. 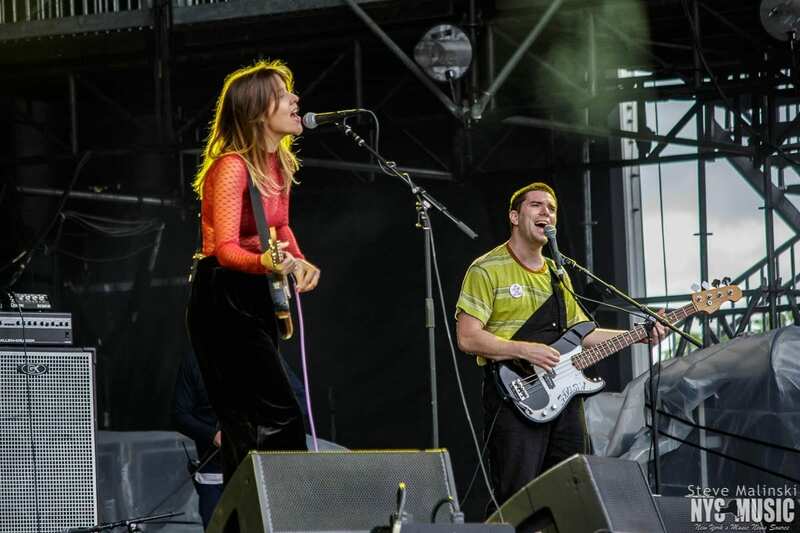 And some big fun at that: for their set’s end, the electronic duo were leaping among exploding columns of smoke and glitter. 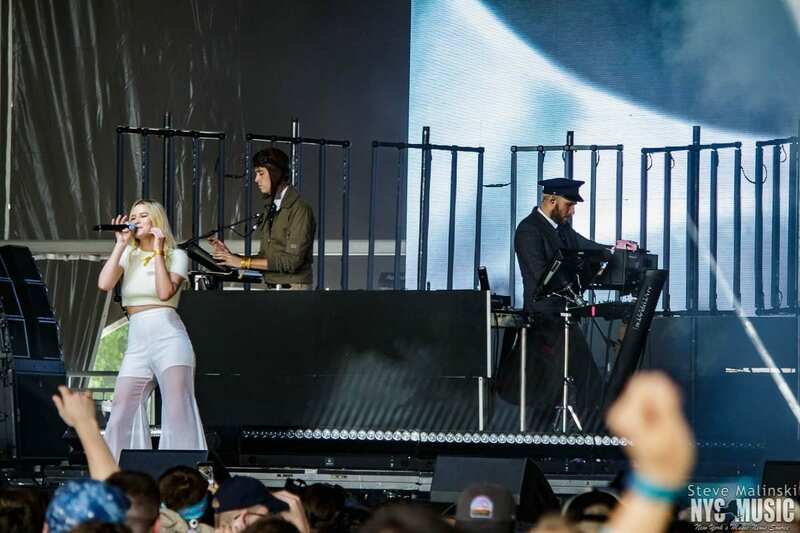 Rivaling Post Malone and Shawn Mendes and James Blake for big time single name performer was the Grammy Award-nominated Halsey. 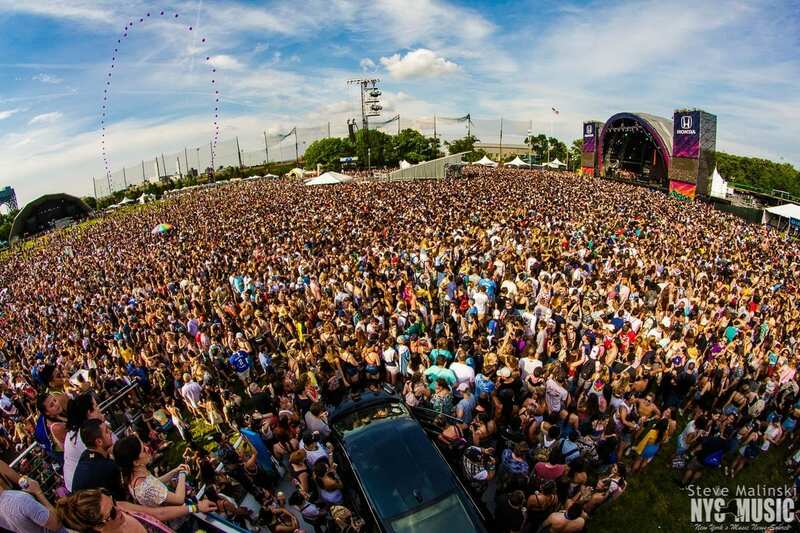 Thousands of fans flocked to catch her flawless presentation of pop magic. 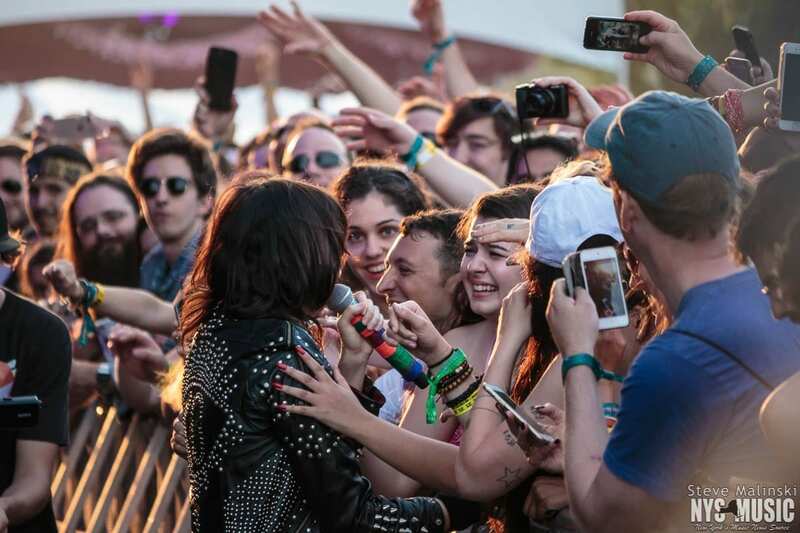 In her path towards super stardom, Halsey has remained a down-to-earth artist for the people. 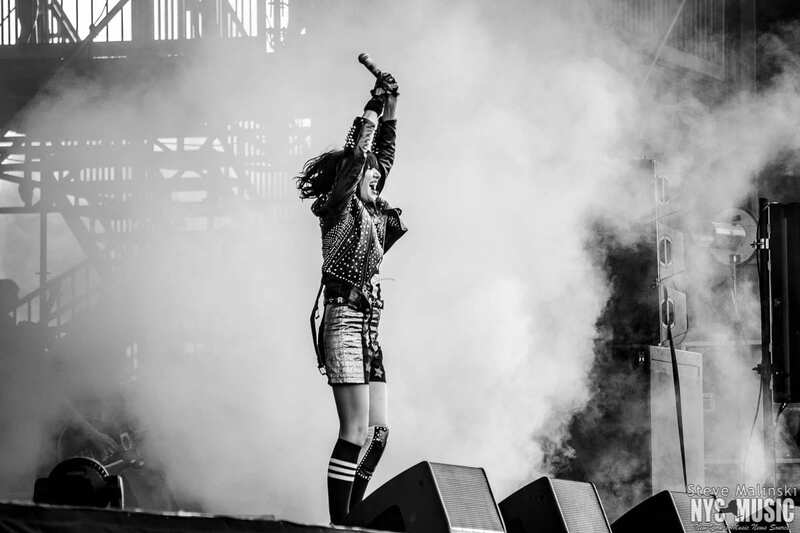 She sung her heart out on songs about tackling the patriarchy, dealing with drug issues, LBGT rights, and more. 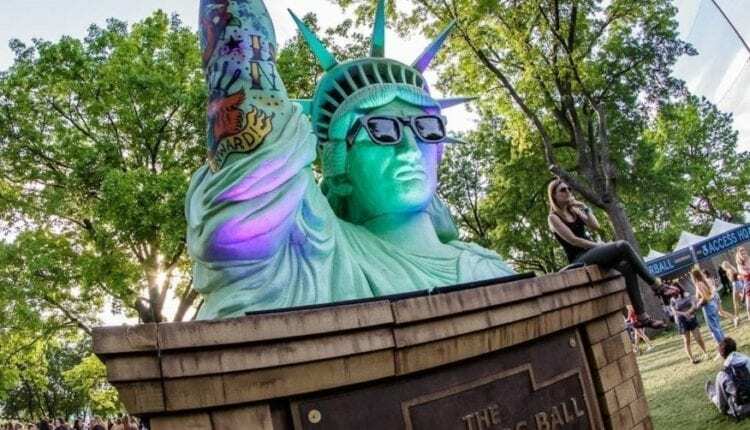 Of course, many, many GovBall attendees were waiting to see the hyped-up debut performance of Silk City—the combined talents of electronic superstar Diplo and mega music producer Mark Ronson. 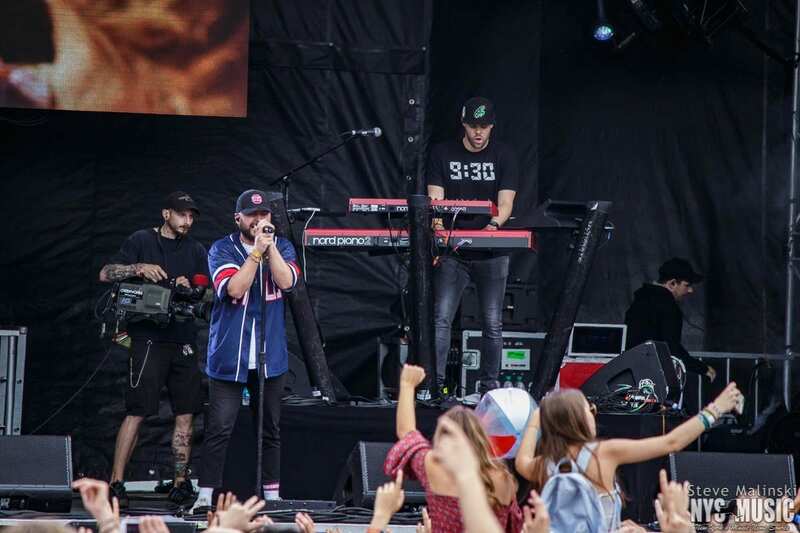 The result was a nicely dressed combo of beats and remixes that mixed in touches of coastal-groove, hip hop and more. 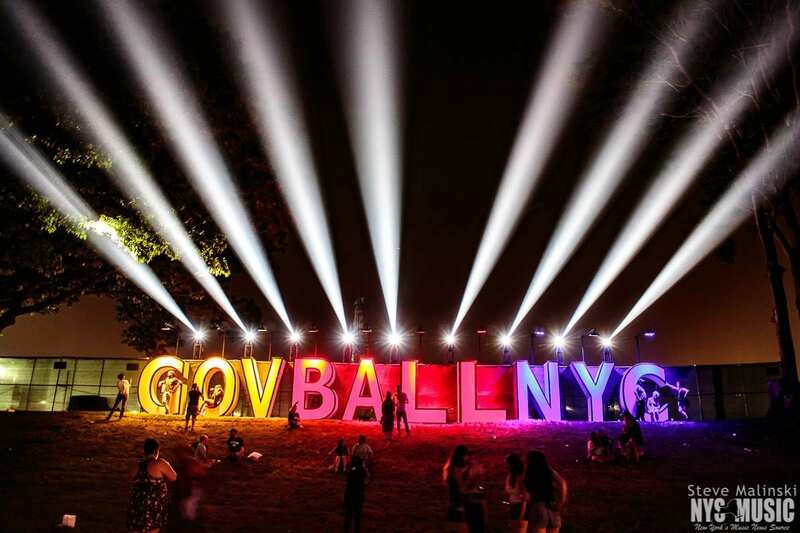 Many acts helped to dazzle out Governors Ball weekend with visually striking and ambitious set pieces, and Silk City were not in the least in that department. 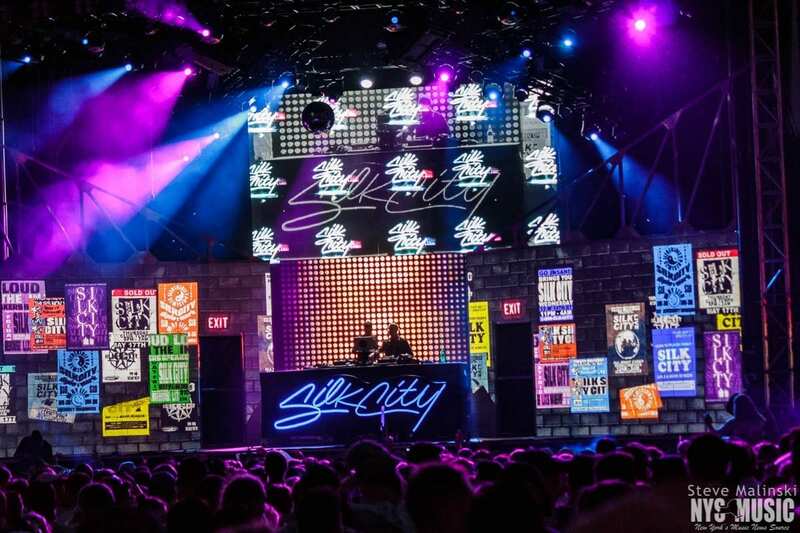 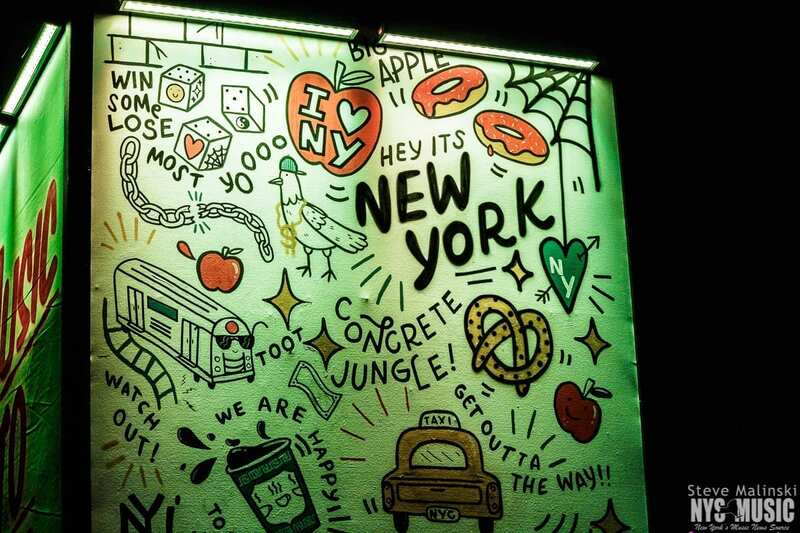 A mini cityscape towered behind, boasting all kinds of street sigs, while Ronson and Diplo did their thing above a bright blue, emblazoned signature of their name. 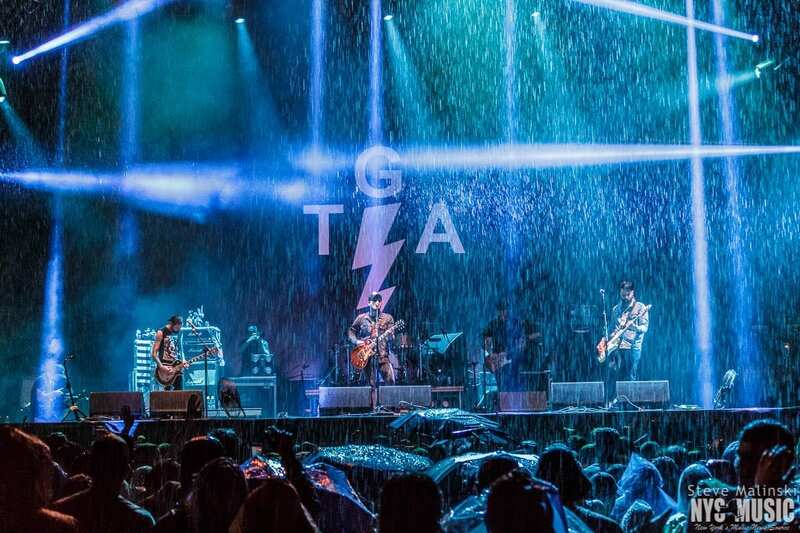 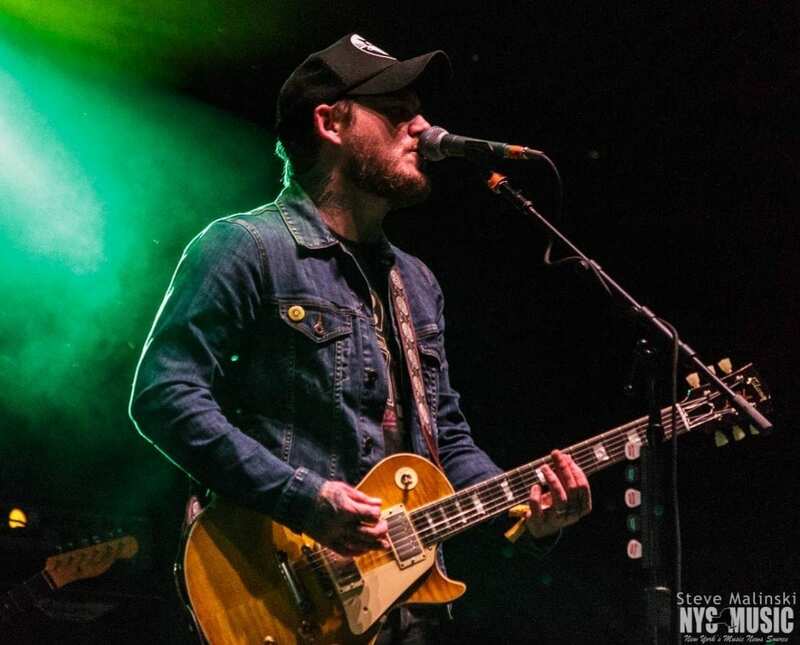 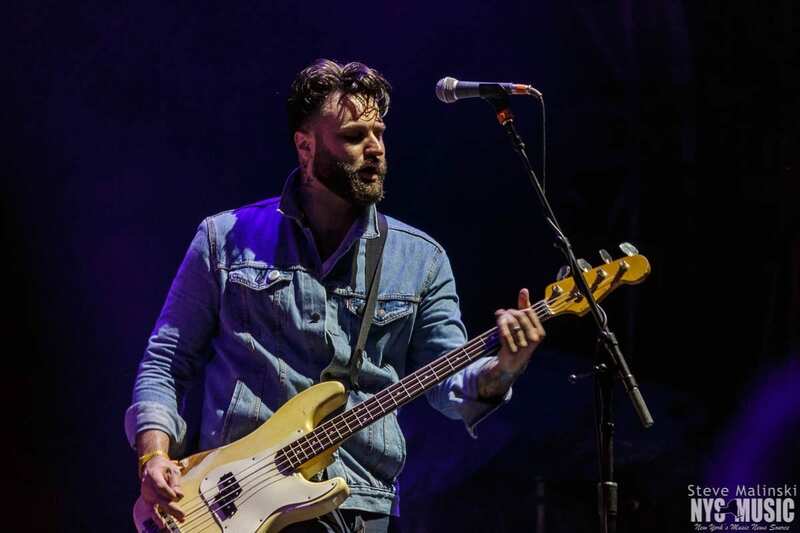 With the hard-hitting “Stay Vicious” revving things off, The Gaslight Anthem took to the Gov Ball main stage Saturday night and charged their way through a tremendous twenty-five songs—twelve of which comprised the entirety of the band’s groundbreaking album The 59 Sound. 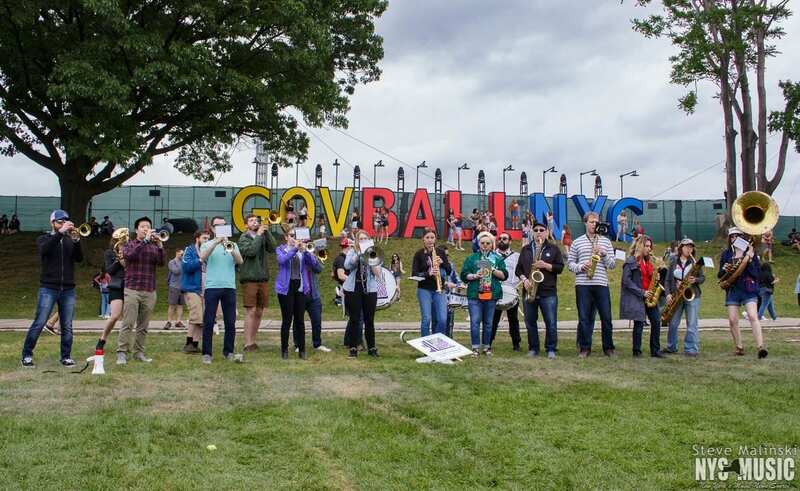 Quite the big to-do, but the band certainly delivered all the favorite bits of the record: like the heavy “Even Cowgirls Get The Blues,” and the extra tender “Here’s Looking At You, Kid.” As Anthem furrowed through a third block of songs for their GovBall set, the rain started and would soon enough be a “true test of will” kind of downpour. 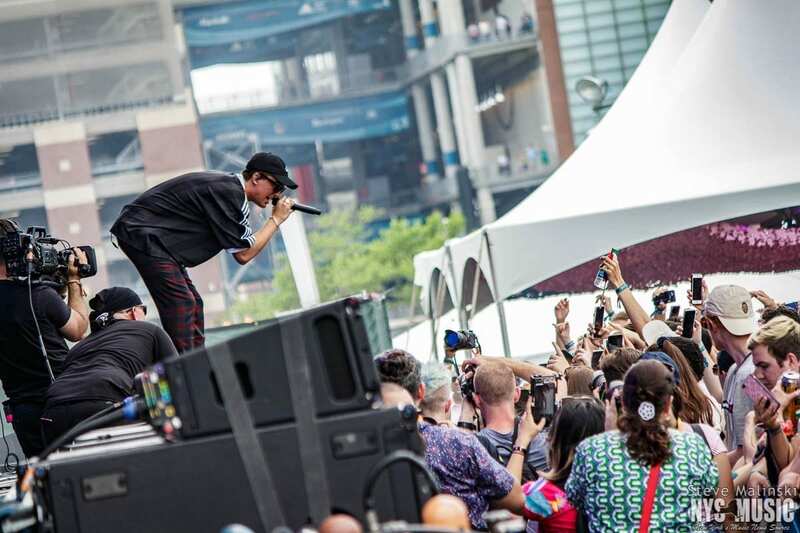 But the show raged on, especially also for Travis Scott, taking the Honda Stage opposite Anthem. 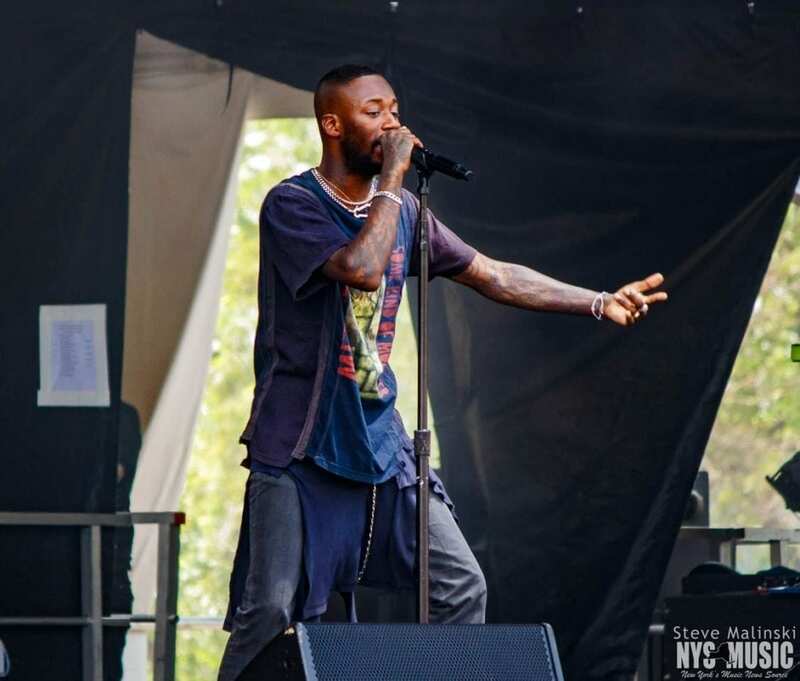 Scott gave live versions of tracks he’s collaborated on with some of the biggest in the game—”4 AM” with 2 Chainz, “Through the Late Night” with Kid Cudi, “Goosebumps” with Kendrick Lamar. 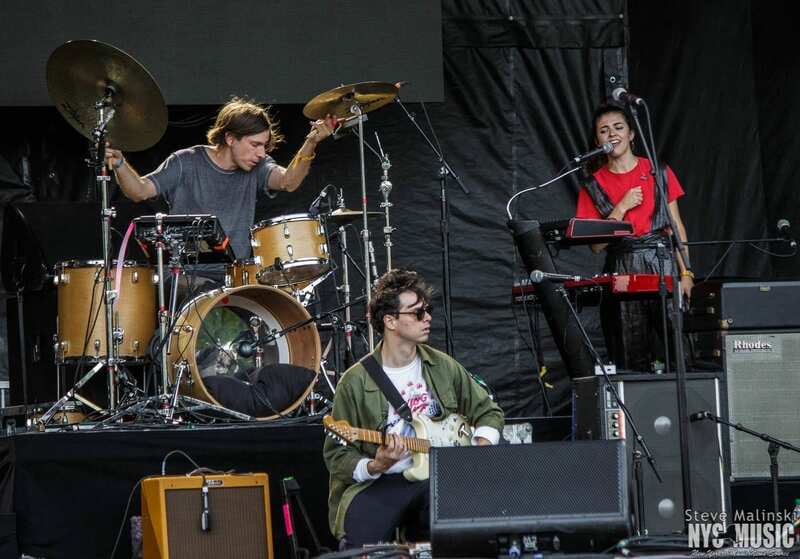 An early highlight of the festival’s third morning were Middle Kids—another breakout foursome from Australia that, like many other artists on this year’s lineup, have been successful in taking the indie world by storm, and after debuting their brand of folky garage rock only a couple of years ago. 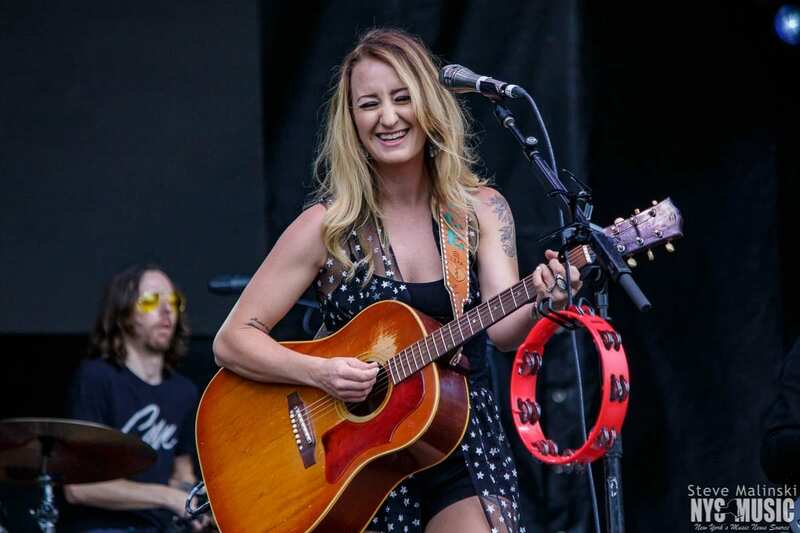 While other artists on the list ride high on the rock charts, Margo Price might be considered the newest queen of country. 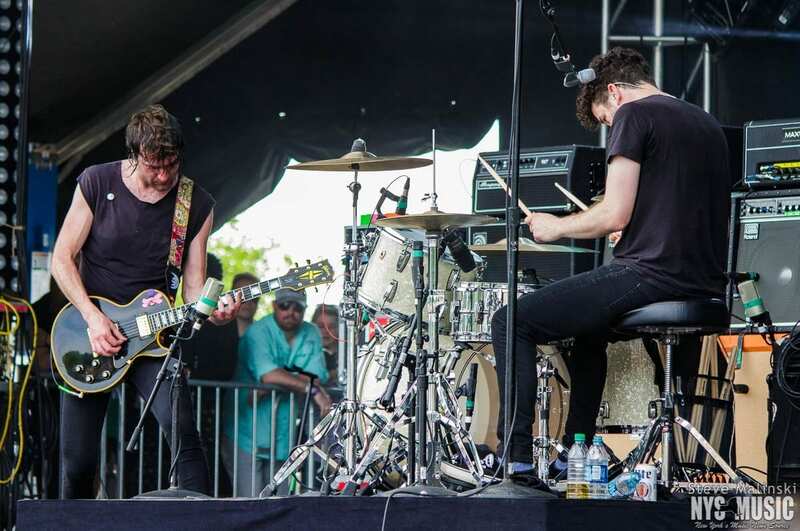 In addition to her own material, she offered covers of Willie Nelson’s “Whiskey River” and Tom Petty’s “Mary Jane’s Last Dance.” Even after laying down a full set of her pop Americana, she enthralled the crowd all the more by jumping on a second drum set for a crazy breakdown ending. 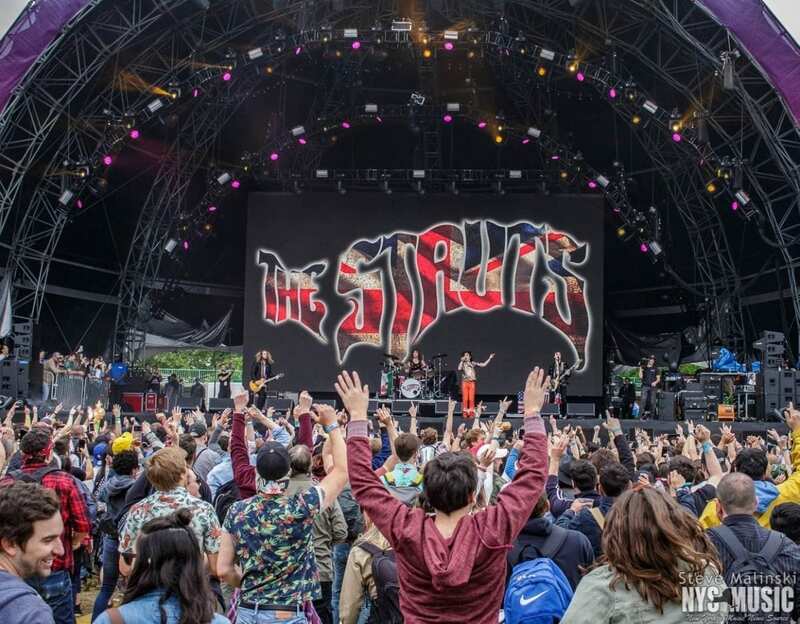 Shortly after them, one the most bombastic sets thrown down the whole weekend came from N.E.R.D, the hip-hop hard rock group centering around Pharrell Williams, Chad Hugo, and Shay Haley. 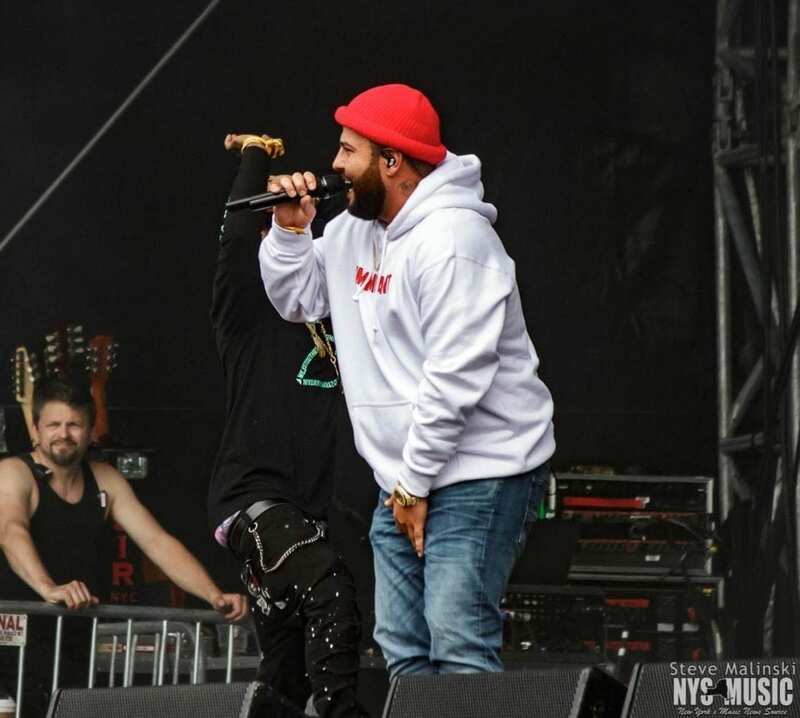 In a curious surprise opening bit, N.E.R.D had a young kid address the Honda Stage crowd with a moving speech about working hard for your dreams and overcoming adversity. 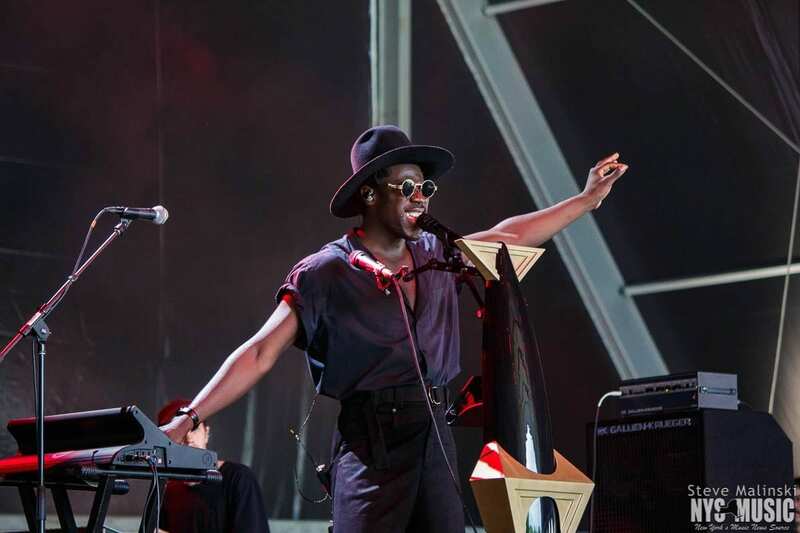 Once done, Pharrell and company rushed the stage and alighted the scene fast. 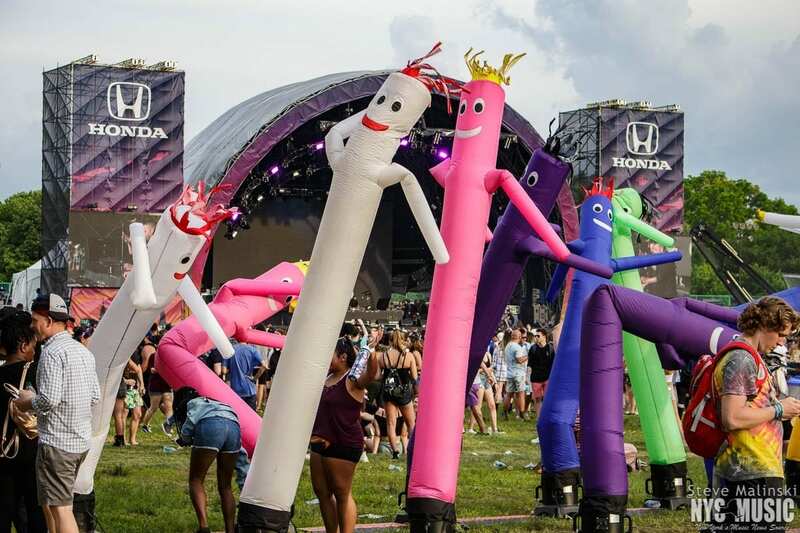 The performers never once stopped moving, circumventing the stage with a raucous energy matched also by their jubilant dance troupe. 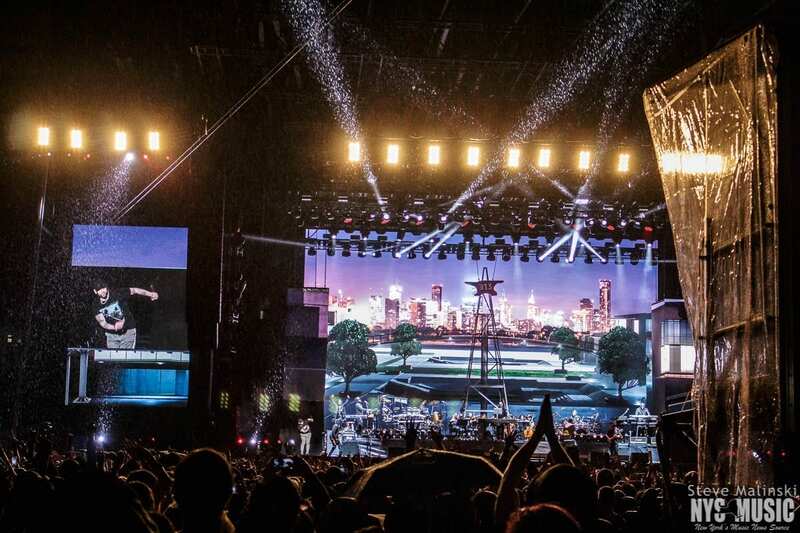 Pharrell, in between bringing hits from both N.E.R.D’s early days from over a decade ago and newer favorites, called out the crowd to help bring about all the vintage gems of intimate rock concert—crowd surfing, mosh pits, and getting everybody to get off the ground simultaneously. 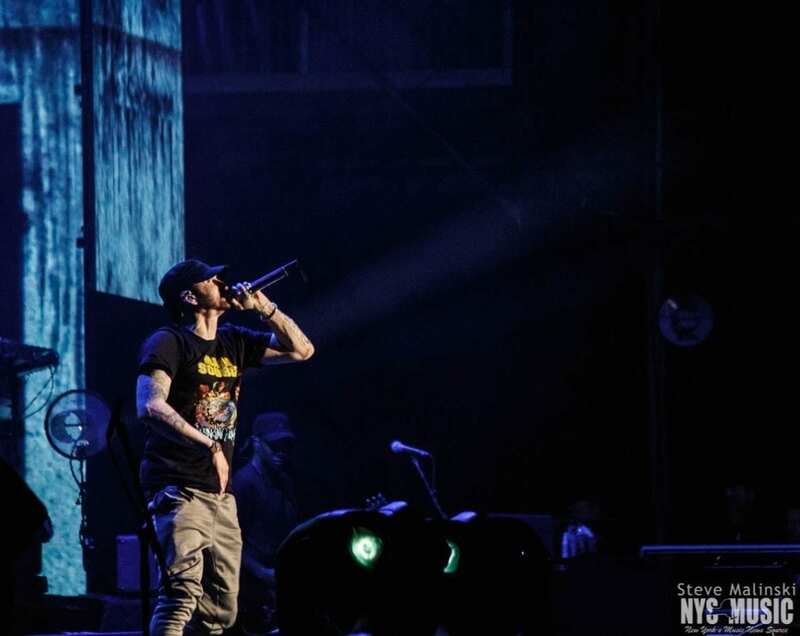 At the conclusion of Governors Ball 2018, Randall’s Island fought a second battle with some vicious rain, but that didn’t stop a dynamic, larger-than-life set from the lineup’s musical crown jewel for the weekend, Eminem. 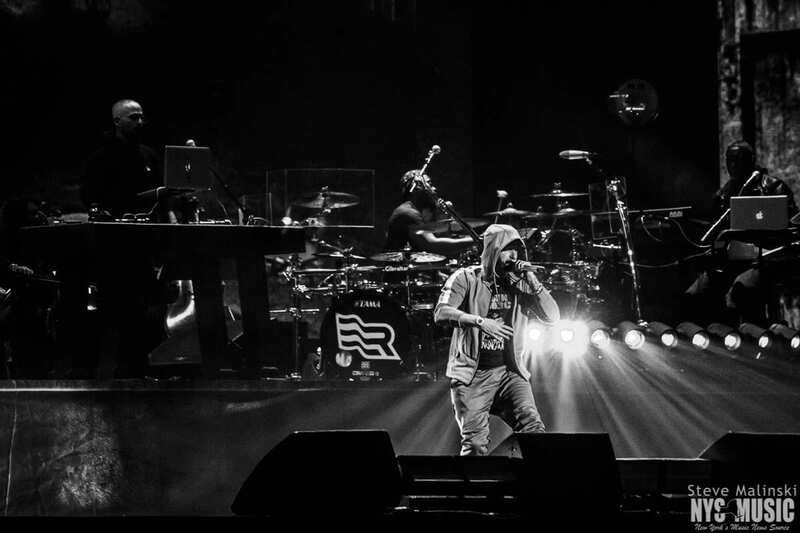 Droves of people, groups of friends, aged from mid teens to mid forties, were screaming along with the modern hip-hop phenom. 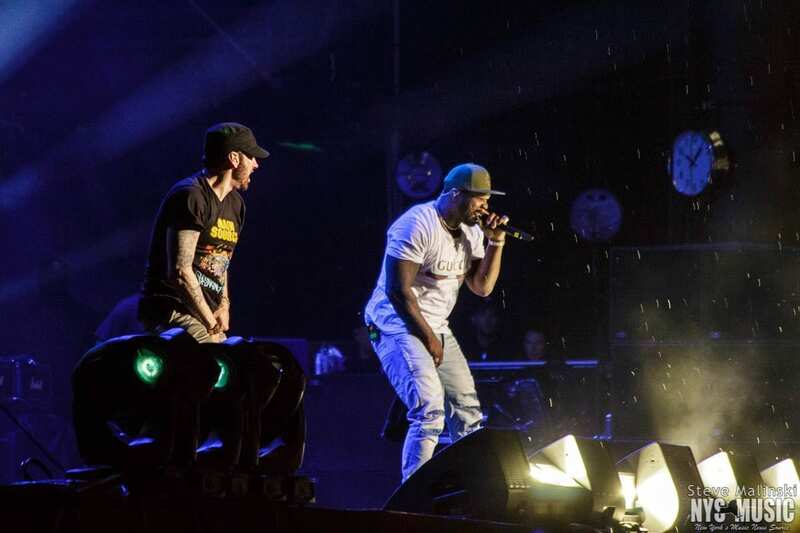 Halfway through, for a huge surprise, the performer invited up another legend in 50 Cent, who stayed for versions of “Patiently Waiting,” “In Da Club,” “I Get Money” and “Crack a Bottle.” Eminem steered the end of his tenacious, spot-on performance with a slew of the classics, including “My Name Is” followed by “The Real Slim Shady.” People who had retreated to dodge the increasing rainfall were sprinting back through the mud once “Lose Yourself” was dropping as the big encore.